3D printing has a broad range of current-use cases for healthcare organizations, including payers, providers and device manufacturers, according to industry experts. Immediate momentum on the practice side lies in three areas: casts, implantables and 3D modeling, said Andrew Ericson, a health strategy consultant of consultancy Accenture. "Casts allow doctors to create more comfortable, custom-fitted devices, such as what exists already with dental implants, while customized implantables for spines and hips can minimize both materials used and the potential for body rejection," he said. Besides, 3D modeling allows surgeons to strategize an operation in detail using a precise physical model of the impacted area of a patient's body before operating. Benefits include greater accuracy and reduced time on the operating table. "What I'm even more excited about is the potential for pharmaceutical companies and medical device manufacturers. 3D-printed drugs and replication of human body tissues－these two areas stand to see the biggest growth from 3D printing," he said. This can have huge impact on the healthcare, medical and pharmaceutical industries in China. 3D organs, for instance, can serve as an effective alternative for long organ transplant lists and can enable access to treatments even in remote areas, said Ames Gross, an analyst with MedTech Intelligence. "Medical 3D printing is beneficial to people of all ages," he said. "For example, for young children, doctors can print models of organs to prepare for life-threatening surgeries caused by complex diseases. 3D models can also be reused to train new cardiologists." China's 3D printing industry is expected to reach $7.68 billion in output value, or one-third of the global market by 2020, according to a forecast by the China Industry Information Institute. Beijing has established the National Innovation Center by forging extensive partnerships between universities and companies. The idea is to help address technological bottlenecks that impede commercial applications of 3D printing. Experts also pointed out that as China continues to grow in its role as one of the key players in the bioprinting space, it must focus on further developing and enforcing industry standards and certifications. Safety issues will be a key topic for both private and commercial users. 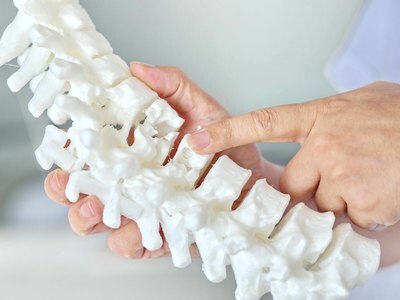 Last year, medical device market regulators at the State Administration of Market Regulation published new guidance proposing registration requirements for devices produced using the 3D printing technology. "To stay in the lead in its application of additive manufacturing in healthcare, the government should consider how best to gather data on the outcomes of its various initiatives, as well as how best to analyze this information," said Caroline Schwanzer, a commentator for the Harvard Business Review.